Due to the magic of computers, this post will be published at exactly the same time as the audience are seated and the lights come up for The Just So Stories in Edinburgh. The show runs twice a day from today until the 29th August, with two days off on the 10th and 22nd. We’ve got a great cast, four great stories, and a great venue. Now all we need is a great audience. We’ve got an exciting new event from Red Table this coming Saturday as The Storyteller General will be telling tales to children in the snuggle pit at the Pleasance Islington’s Big Day Out. Tickets are available now, or buy them on the day. M’brother Rafe and I will be talking at RADA next Saturday (9th July) about Open Book Theatre. The event’s being held under the auspices of the Directors Guild of Great Britain, with support from the Mackintosh Foundation. I believe that DGGB members get first dibs on the tickets, but that any spare ones will be allocated to members of the public. 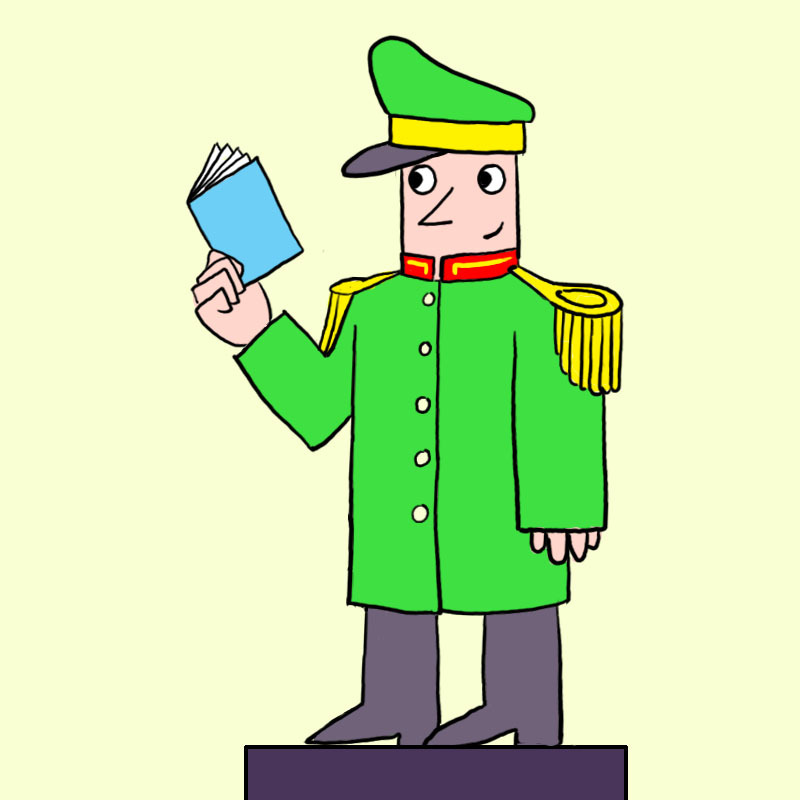 What is Open Book Theatre? Can the model be extended to other applications, like film? So if you’d like to come along, book your free ticket here. It’s my absolute pleasure to be able to tell you two things. Firstly, that Red Table made a profit on our recent production of The Just So Stories at the Pleasance Theatre this Easter. A Fringe Theatre show? Not losing money? Inconceivable! As it turns out, when you’re involving actors and crew using the Open Book Theatre model, that word does not mean what you think it means. Every investor has made their money back. Together with a 10% return on their investment. Every actor and crew member involved in the production has been paid a share of the money that we made, in a clear and open manner. To say we’re happy with this result is an understatement. It’s proof that this new model works. That people involved in fringe theatre don’t need to lose money. The production has been so successful that we’re taking it up to the Edinburgh Fringe Festival this year, once more with our friends at the Pleasance. The Just So Stories will be showing twice a day at 12:30pm and 2:45pm in The Green, the giant igloo at the heart of the Pleasance Courtyard (that’s venue 33, fringe-fans), one of the largest venues in the Edinburgh Festival, with over 450,000 visitors expected across the course of the festival. The auditorium only seats 60 parents and children, so if I were you I’d book early. Tickets are available now from the Pleasance Box Office or by calling 0131 556 6550. Still not convinced that this is going to be one of the best shows at the festival? Take a few minutes to read the reviews of the Easter production. My little theatre company made the front page of The Stage this week. For those of you too far from a newsagent to pick up a copy for yourself, or who live in the future where paper is considered a barbaric relic of our savage past, you can also read the article online. As you’ll see, what we’re creating here is nothing less than a new business model for fringe theatre. We call it Open Book Theatre. The concept is very simple: everyone in one of our productions gets to see the accounts. They know what we’re aiming for. Where the money’s coming in. Where the money’s going to. There’s no longer any need for the cast and crew in a profit-share show to suspect that someone who isn’t them is coming away rich, because now all the information is available to them. And if they can find better ways of doing things, they let us know and we do it. Open Book Management has been around for many years now. I first came across it about a decade ago in Jack Stack’s book The Great Game of Business (which is still an excellent introduction to the idea). But as far as we know, no-one in the world’s ever tried it in theatre before. As well as helping promote transparency, we hope to improve conditions for everyone. We as a company believe that the best thing for anyone is to have a proper union contract. Both of the founders of Red Table are members of the relevant Trade Unions – The Writers’ Guild of Great Britain and Equity respectively – and we recommend that as soon as possible any theatre company should use the contracts recommended by those unions. But those contracts are still designed for larger productions, and in the case of small fringe productions it may not be possible to guarantee a minimum wage to cast and crew if the production is to happen at all. Instead, what tends to happen is that there are no contracts at all, and no protection. We believe this should change, and are making the first steps towards this. You can read the model agreements that we’re currently using on our website. Feel free to borrow them, use them, amend them – and let us know what works and what doesn’t. So we can improve the process for everyone. As production on The Just So Stories continues, Rafe’s blogging about the open-book part of the process over at the Red Table website. So feel free to go over there and ask any questions about how it’s all working out in practice. Some fantastic news: The Just So Stories – which I produced at The King’s Head Theatre over Christmas – is transferring to the Pleasance Theatre for a three-week run over Easter. The show’s going to be better than ever, with a bigger and more comfortable snuggle pit for the children and a brand-new set from which the cast will find exciting items which they’ll use to bring to life five of Kipling’s best-beloved tales. 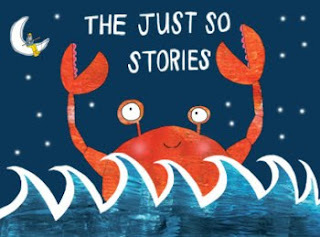 Just as with Red Table‘s first production, The Just So Stories will be run using Open Book Management, meaning that all of the financial and business information about the show will be available to cast, crew, and investors throughout the production period. Rafe’s blogging about the process as we go over on the Red Table website. That’s Pau Amma, The Crab That Played With The Sea, as drawn for us by Hannah Broadway. If you look closely, you can see that he is taller than the smoke of three volcanoes! 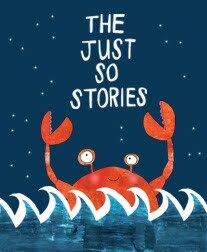 Tickets are now on sale for The Just So Stories at the King’s Head Theatre from December 15 2010 through to January 3 2011. I’m producing the play, and my brother Rafe is directing – the first production from our new theatre company, Red Table. £10 for adults, £6 for concessions. Buy your tickets here. The power of Giant Happy Crab compels you!